Ryan was very knowledgeable, extremely efficient & helpful. Did exactly what they said they would do with great results! Is your house or yard overrun with ants or rodents ? Are spiders or fleas invading your space? Your search for a trustworthy and effective pest control company is over. If you live in Northern Illinois or Southeastern Wisconsin, Schopen Pest Solutions is the pest control and pest management company you can trust to take care of all your pest problems. Headquartered in McHenry, Illinois, we offer rodent extermination, bug control, and spider removal and we are. Call us today at (847) 529-2847 today to learn how we can help you! 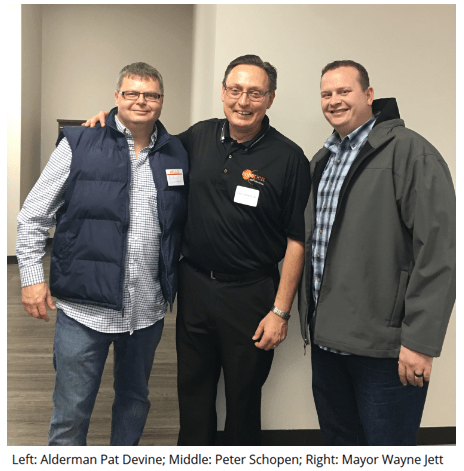 For more than 20 years, our founder Peter F. Schopen, Jr., has continued to build our company to serve the McHenry, Illinois community with the best customer service and among the highest rated pest service company in the industry. Peter is a founding member of the Greater Chicago Pest Management Alliance, a former board member of the Wisconsin Pest Control Association, and is a past regional Vice President for the Illinois Pest Control Association. His extensive experience and background in the pest control industry has translated into effectively providing excellent service to our customers in Northern Illinois and Southeastern Wisconsin and all cities within. With the most comprehensive pest, rodent & bug removal programs available today, our experienced and professional exterminators can take care of your pest problem quickly and thoroughly. Whether you have fleas, mice, beetles or ants, Pete and his staff of highly trained and experienced professionals have the solution you are looking for. Let our bug exterminators resolve your insect (including ants, wasps, roaches, spiders, etc. ), or rodent problem today! Whether you need spider control, rodent removal, or mouse extermination, Schopen Pest Solutions will make your house pest-free! Learn more about us and take a look at our programs on taking care of your pest issues. Contact us anytime during business hours at (847) 529-2847 for a free quote. Don’t worry about your pest problem any longer—help is on the way! While many pests in the McHenry area will slow down during the winter, many more still flourish.